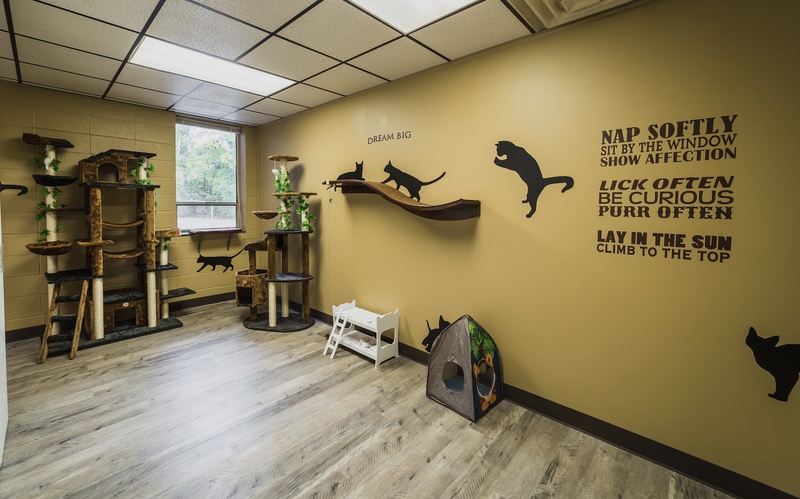 Cat Boarding - Paws and Claws Pet Care, Inc.
Boarding Hours: Monday – Friday during working hours. 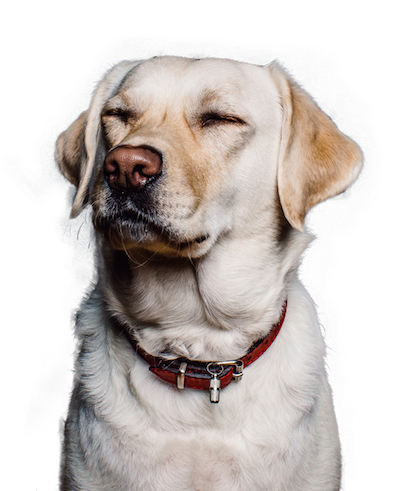 We provide cat litter with ventilation throughout the entire condo for constant fresh air. A lounging area with toys. 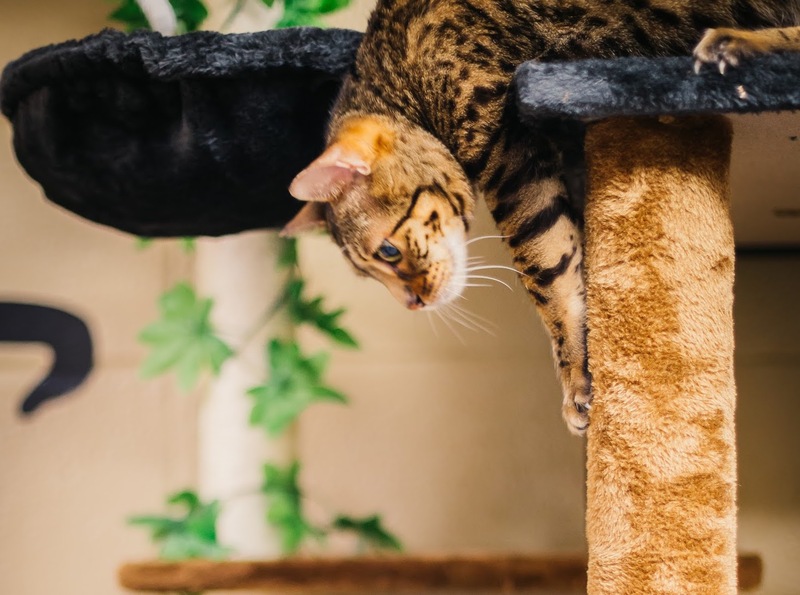 Custom made four-post bed and mattress to ensure the upmost comfort for your feline. 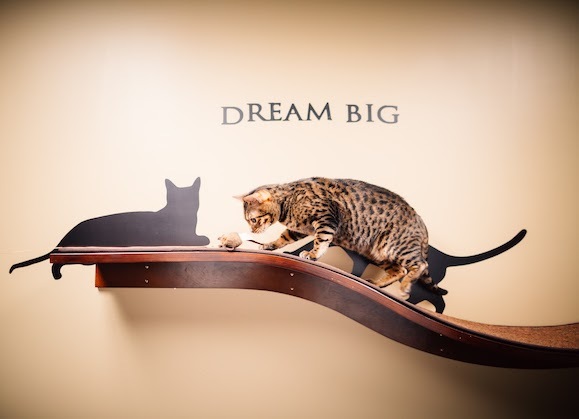 Provides cats the height they crave to view their surroundings. 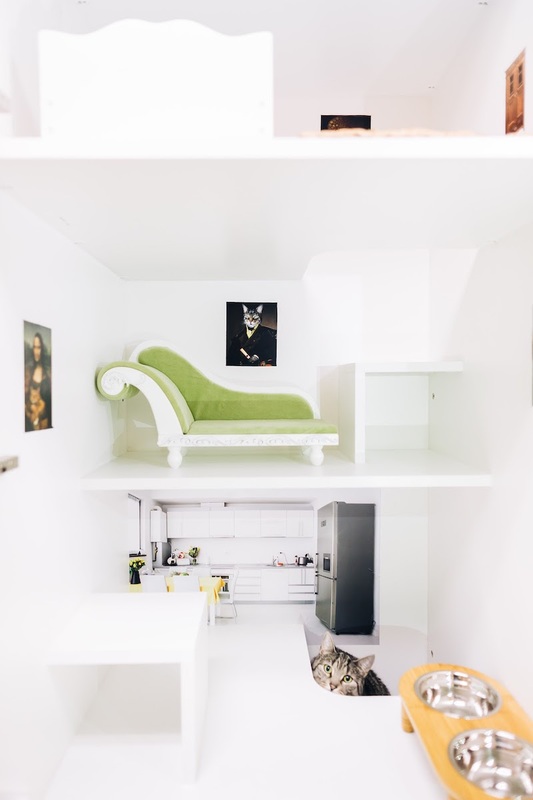 The Luxury Cat Condos are 7ft 7inches tall with 28sqft of living space for your feline. 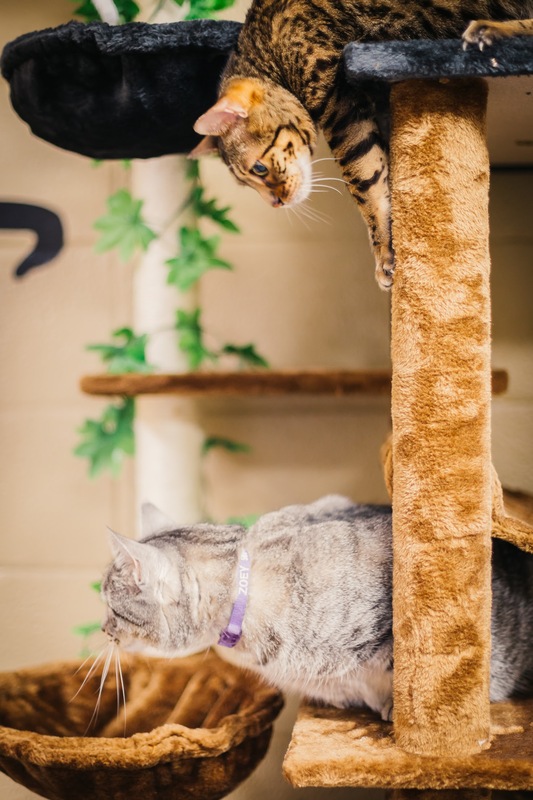 Cats can also explore the cat tree playroom daily to play or relax. $30 for first cat and $25 per day for second cat.